Passion: I have had a passion for farming from a very young age. Although I do not have a family farm at home, I have grown up around farming and began working for my great uncle corn carting at the age of 13. I did not perform amazingly at school as I was not very interested in the subjects, but I was inspired to go to agricultural college (Easton campus, Norwich), where I excelled. I moved on to the Royal Agricultural University (RAU) and it has been a great experience for me. It has provided me with great tuition and highlighted the opportunities available to graduates. I have gained a lot of experience working for seven farm businesses and I plan on continuing to work and develop my experience. Work-life: The RAU gives me a good balance – the benefit of having long holidays is the ability to work throughout the year. This allows me to try to top-up the bank account and gain valuable work experience and make contacts, which will be a big advantage when I graduate. Winning the John Innes Foundation bursary means a huge amount to me and I was thrilled to be considered for it, let alone win it. I think it is a great idea from the foundation to encourage young people into the industry and I think it would be a really great thing for other organisations to implement as well. We need to invest in the future generation for success in the industry. Management: With the growing population, we need to produce more food from the same resources, whether this is from technology, such as genetically modified plants or precision farming, and the industry is still going to rely on young talent to drive it forward. Before starting at the RAU I knew I wanted a career in farm management. 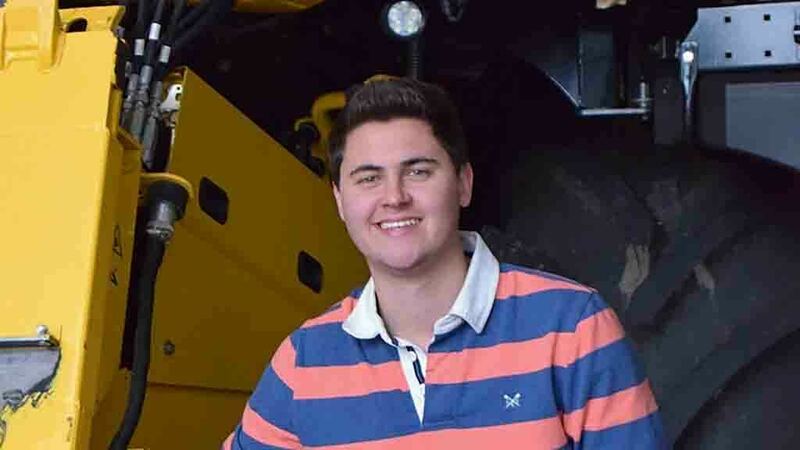 Winning the scholarship has made this even more possible, especially with the opportunity to progress through the Velcourt management training scheme. After graduation, I hope to travel to New Zealand for a season to work with my uncle, who is an agronomist. My aim is to gain as much experience in every sector of the industry as possible, to drive my career forward and prove to be a valuable asset. To be a part of the industry, you do not need a farm, but I think it is important to take every opportunity with open arms, be passionate and gain as much experience as possible. With this under your belt there is no reason why you cannot make it.